Aponjon participated at the country’s largest technology fair, “Digital World 2015” on 9th February 2015. The conference and the fair that went with it, highlighted stories of digital revolution in Bangladesh. 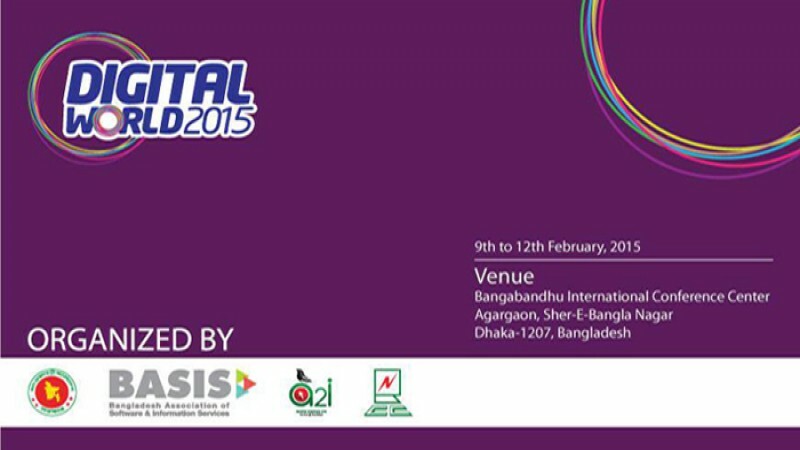 To declare the progress of Bangladesh in the field of Information & Communications Technology (ICT), this event was held in Dhaka from 9th February to 12th February 2015. Honorable Prime Minister Sheikh Hasina inaugurated this event. Aponjon exhibited its digital innovations, services and projects at mini pavilion- 74. World’s largest mHealth service, ‘Aponjon’ and Infolady- one of the leading stalwarts in the digital revolution of Bangladesh were exhibited at Dnet’s pavilion. On behalf of Dnet’s education team, many types of educational digital games were arranged at the pavilion for the school going students. To increase the level of entertainment, quiz competition were also be conducted at the stall.